Life’s a beach, or so they say… There is nothing better for your soul than a lazy beach day. 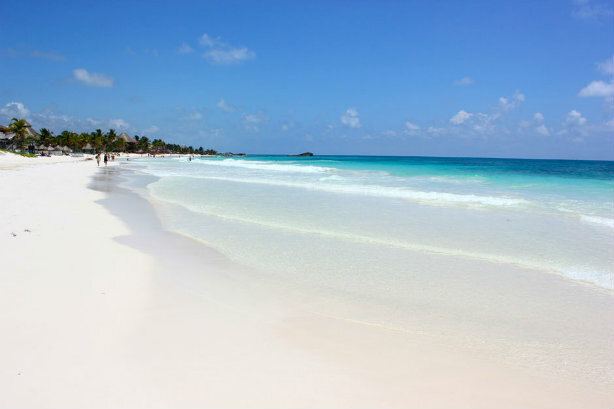 Whether you are already staying in Tulum or heading in for a day trip, here are a few top spots to chill out on Tulum’s award winning beaches. This beach is as pristine as it gets. Grab a sun bed, with parasol for roughly $10. Drinks and food available all day. 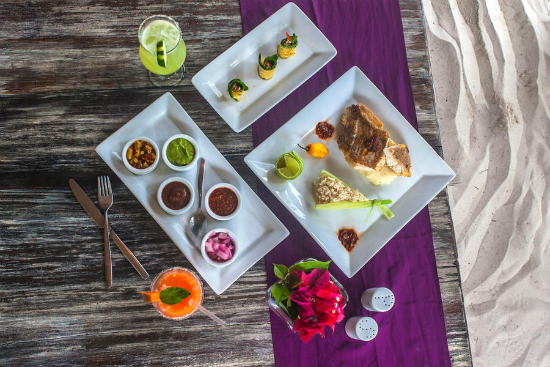 Try one of the ceviches on the menu. Delicious. On a side note, Extreme Kite Boarding School is located right next to Playa Paraiso. 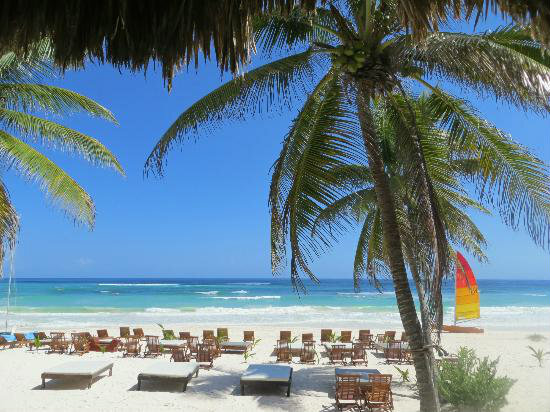 Ziggy’s is the restaurant that caters to Cabanas Tulum, but also offers a great beach club option. Lounge out on beach beds, opt for hammocks, or swing at the bar. Open breakfast, lunch and dinner with tasty affordable options. Happy Hour daily from 12pm to 6pm. This is a beach club / restaurant / bar that also specializes in weddings. 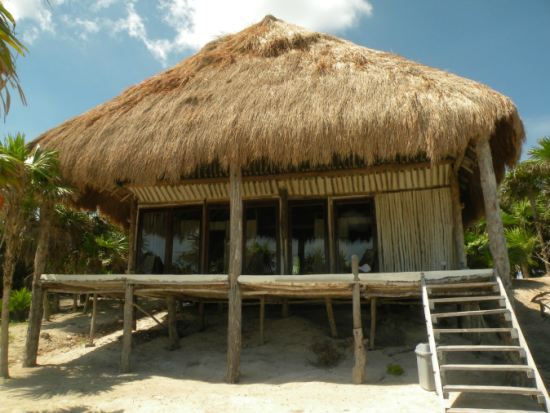 Looking to get married in Tulum? Ak’iin can help. You can also choose to chill out here for the day, renting beach beds and getting whatever food and drink suits your fancy. La Zebra is a beach restaurant and cabanas. You can stay here, or head in for the day and take a breather. 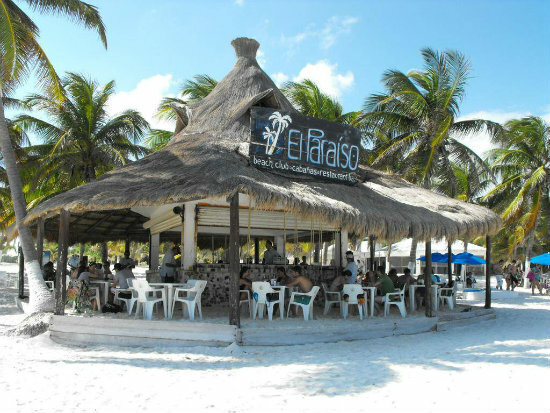 Their cantina has Mexican specialities, fresh seafood, a whole slew of cocktails, and Salsa Sundays. Try the cucumber margaritas. 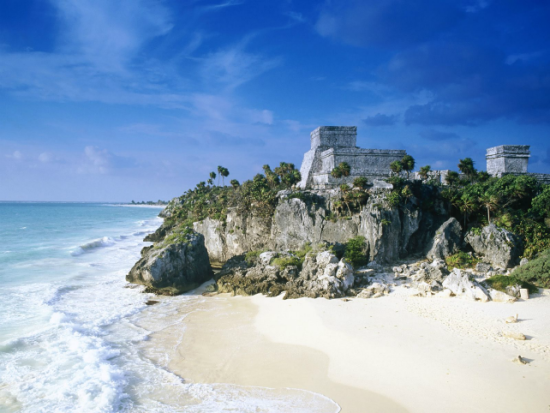 As you head down the main highway, you will see the sign for Tulum Ruins on your left. Keep going about 3 more minutes and you will find a major intersection with stop lights (and a 7/11). Turn left and head down to the bottom. Once at the bottom you’ll hit a fork in the road, but you can find beach clubs on either side. 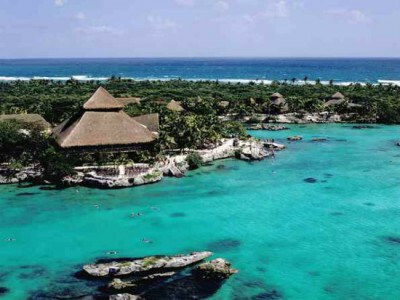 From Cancun to Tulum it is only 1.5 hours, 45 minutes from Playa del Carmen, and 20 minutes from Akumal. What are you waiting for? 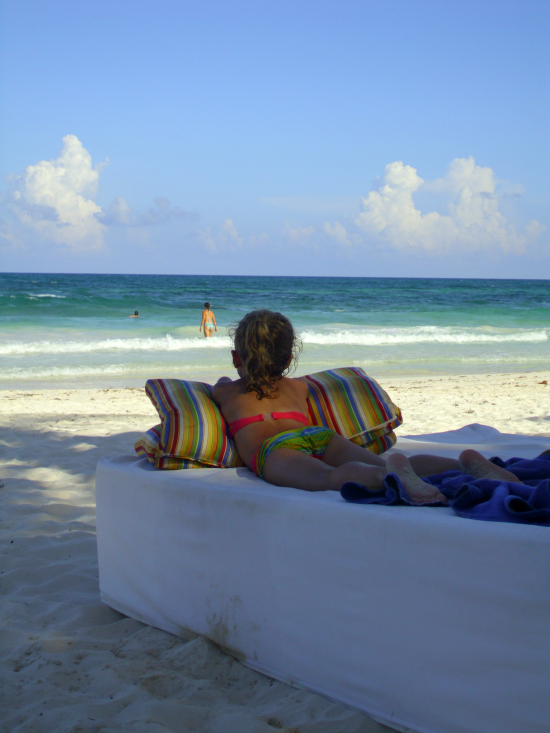 You can get the ADO bus from either Cancun or Playa del Carmen to Tulum. Once out, grab a cab to beach.